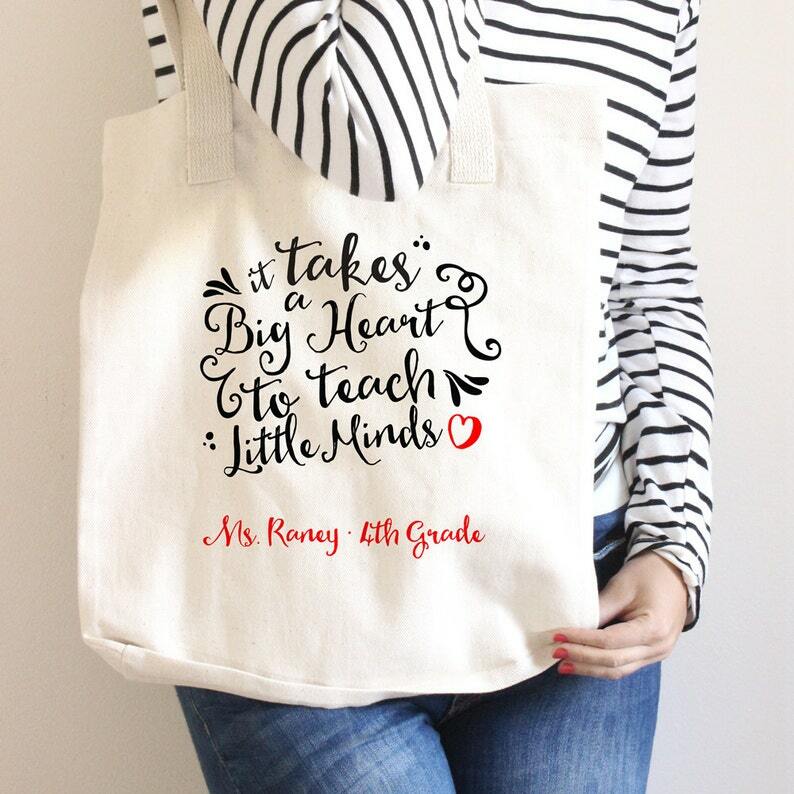 "It takes a big heart to teach little minds"
The tote bags feature the teacher's name and the class and grade she teaches. I can leave off the grade if you want. Feel free to request custom colors. In the "Note to Seller" section at checkout, please leave your personalization and any special requests. I typically don't send a proof for tote bags unless there is something unclear about your order. I'l reach out if I have any questions at all! LIGHTWEIGHT: Our 100% cotton natural canvas totes measure 15 by 16 inches and have a 22 inch handle. It is a 5oz cotton Liberty Brand bag. Our totes are the perfect size: big enough to tote your books and lunch to work, but not too large as to be overwhelming. 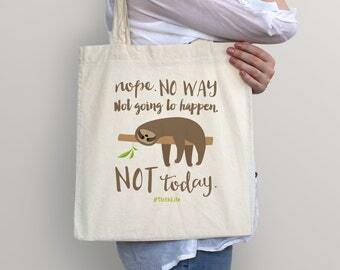 This is a lightweight tote bag. The base is not gusseted. 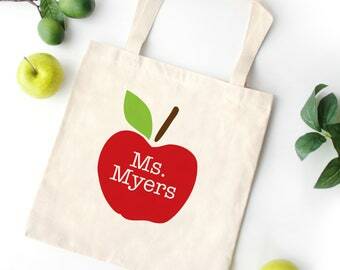 HEAVYWEIGHT TOTE: Our 100% cotton natural canvas totes measure 14.75″W x 14.75″H have 22″ handles and a 5” gusset. It is a 12oz cotton Liberty Brand bag. This bag is better if you carry larger quantities, groceries, or heavy loads. OVERSIZED TOTE: Similar to our heavyweight tote, but way bigger, this 12 oz. tote measures 20″ x 15″, has 22″ handles and a 5″ gusset. COLOR NOTE: For natural totes, the color of the fabric can vary slightly from batch to batch due to natural variations. Totes take about 4-5 days to make. 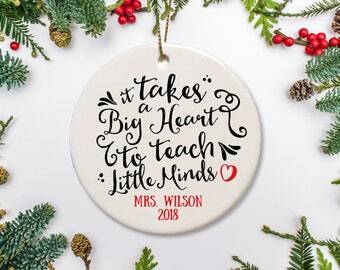 During crunch times (Christmas), this can be slightly longer due to the volume of orders we are getting. Shipping adds another 2-5 business days. Teacher Tote Bag - Teacher Gift - Personalized - Gift for Teacher "A Teacher affects eternity - She can never knows her influence stops"
Repeat customer. Loved these bags. Quick delivery! Do you accept custom design requests? Yes, I accept custom orders. I do not charge extra for this, but it will add some time to your total turnaround. Usually it takes 1 extra week, but it can be longer during busy times. Changes to fonts and colors are easy and typically do not require extra design time. Can you make a design with a licensed character (snoopy, star wars, hello kitty, etc.)? I do NOT use any designs that violate US Copyright or Trademark law. I cannot create designs with licensed characters (Star Wars, Snoopy, Hello Kitty, etc.). Can you gift wrap? Do you put prices on your packing slips? I do not gift wrap items, but I am always happy to include a gift note upon request. We NEVER include prices on our packing slips because so many purchases are sent directly to gift recipients. How do I get my personalization or party information to you? There is a "NOTES" section at checkout. Please leave all of your wording there, along with any special requests. 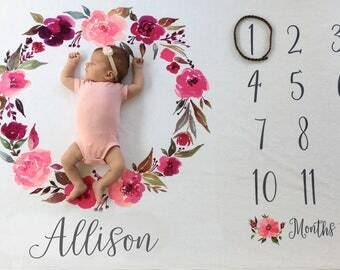 If you need a photo added to an invitation, please send that to us by etsy message. I ordered a DIY Editable Item. How do I edit it? 2. Download the LATEST version of Adobe Reader. FREE at get.adobe.com/reader. You MUST have the newest version for the fonts to work. 3. Open Reader. Hit file>open & select the PDF. 4. Type your text. Don't cut & paste- that can mess up the fonts. 5. To change font size, open the properties panel: control-E (PC) or command-E (Mac). You can change size, fonts, colors & spacing. 6. Save your item under a new name. (TIP: If it won't let you save, you are either using an old version of Reader or your Mac accidentally opened it in Preview. If you ask for a proof, it all depends on how quickly you reply to the proof email. Some clients reply in 10 minutes, and some take 2 weeks. If you take longer to reply, it will take longer for your finished item to get to you. 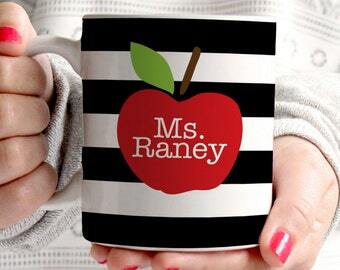 * Mugs - about 3 business days, with shipping by USPS Priority 2-Day Mail. * Clipboards, Plates, Platters and Tote Bags - approximately a week to produce, but we try to speed this up when possible. * Stamps - 1-2 business days, with shipping by USPS first class mail. Yikes! I procrastinated and need my invitations ASAP! Can you help? For standard invitation orders, we send a proof about one business day after you order. Once you approve the proof, you typically have your invitations delivered in about a week (plus or minus a day or two). If you are in a RUSH, we can definitely help. We can rush the order and bump you up to overnight shipping, but this costs a bit extra. Please contact us for an exact quote, but the average rush fee is $15 or $20 and you have your invitations in hand about 2 days after you approve the proof.